Sweet HakeaEvergreen shrub. Stiff green leaves are forked into many need-like leaflets with pointed ..
RockroseEvergreen shrub. Small grey leaves covering the stems. 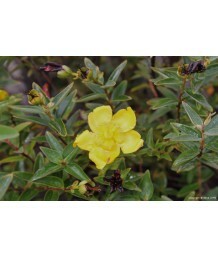 Spring bloom is profuse; bright yello..
HebeEvergreen shrub. Rounded habit. Small, shiny green leaves with a purple flush. Vibrant red-viole..
HebeEvergreen shrub. Compact, bushy growing habit. Leaves are green and shiny, lance-shaped to 1 inc..
HebeEvergreen shrub. Compact, bushy growing habit perfect for a small spot. Neatly arranged, tiny sl..
HebeEvergreen shrub. Dependable globe-shaped bush has small, shiny, dark green leaves arranged in ne..
HebeEvergreen shrub. Dependable globe-shaped bush has variegated yellow leaves arranged in neat rows..
HebeEvergreen shrub. Spreading habit. Shiny green leaves, toothed with red edges bear light purple f..
HebeEvergreen shrub. 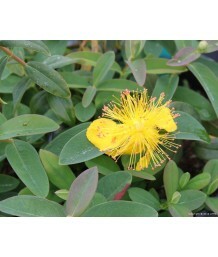 Erect, many branched dense shrub with small, tough, yellow-green leaves. 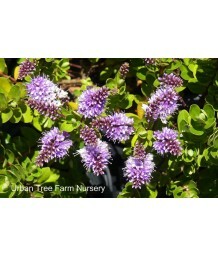 Small ..
HebeEvergreen shrub. Compact, bushy growing habit with neatly arranged, glossy green leaves. Profuse..
HebeEvergreen shrub. Dependable globe-shaped bush has green leaves arranged in neat rows along stems..
HebeEvergreen shrub. Attractive year-round glossy dark-green foliage mounds with compact growing hab..
HebeEvergreen shrub. Attractive year-round spear-shaped light green foliage mounds with compact grow..
HebeEvergreen shrub. Dense, rich green foliage grows in low mounds. Spikes of cream colored flowers ..
HebeEvergreen shrub. Attractive year-round small green foliage mounds with compact growing habit and..
HebeEvergreen shrub. Low growing, ground cover habit. Rich dark green foliage with short spikes of p..
HebeEvergreen shrub. Dense, rich green foliage. Spikes of pink and cream colored flowers in spring. ..
HebeEvergreen shrub. Rounded, compact form. Deep green leaves with yellow green border. Fat, white f..
HebeEvergreen shrub. Attractive year-round leathery black-green foliage mounds with compact growing ..
HebeEvergreen shrub. Dense, dark green foliage with red edges grow in attractive mounds. Spikes of d..
HebeEvergreen shrub. Dense, rich green foliage on dark purple stems. Spikes of cream colored flowers..
HebeEvergreen shrub. Unique, densely-packed, grey-green foliage on upright stems. Spikes of cream co..
HebeEvergreen shrub. Attractive year-round sprawling shrublet with silvery blue-green leaves neatly ..
ToyonEvergreen shrub. Slow growing with rounded form. Dark-green leathery oval-shaped leaves. Small ..
ToyonEvergreen shrub. Fast growth. Deep green leaves. 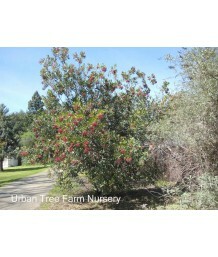 Has golden yellow berries instead of the red b..
St. JohnswortEvergreen shrub. Shiny foliage is often tinged with red. Yellow flowers provide great s.. Creeping St. JohnswortEvergreen groundcover. Small green leaves contrast with bright yellow blooms. ..
St. John's WortEvergreen shrub. Rounded habit. Elongated, bright green foliage. Vibrant yellow flowe..
St. JohnswortEvergreen shrub. Moderate growth rate with rounded and mounding form. Small dark-green ..